My intend trip to Selegie was to check out Chef Kang's Kitchen after he got a Michelin Star. However the restaurant was fully booked for the next 2 months and I was told to make a reservation instead. Leaving the place disappointed, I made a detour to Nasi Lemak Kukus around the corner. 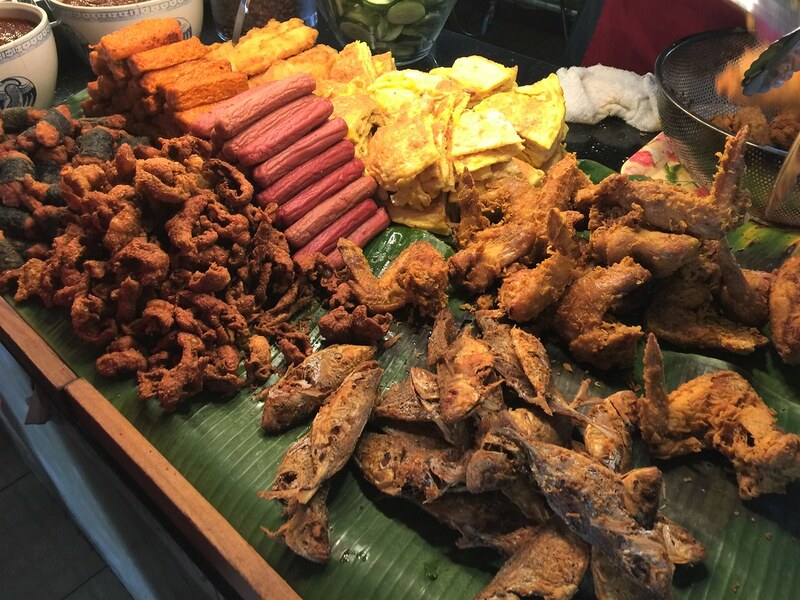 Nasi Lemak Kukus is somewhat similar to the Chinese Chap Chye Peng (Economic Rice) but nasi lemak with items such as fried fish, chicken wings, sausages, egg, mutton rendang, chicken rendang, curry chicken, sayur lodeh and more. 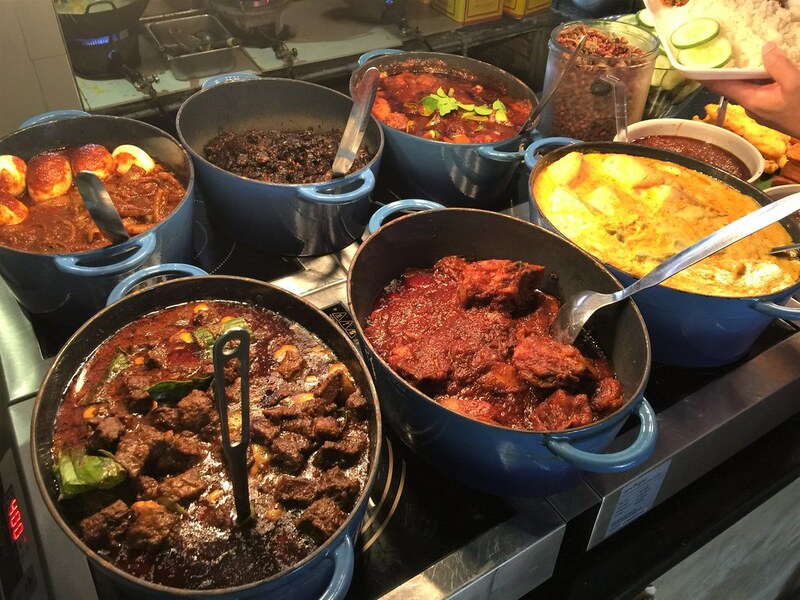 Customers can help themselves to the free-flow coconut rice and only charge for the food they picked to go with the coconut rice. You may wonder what is Kukis? Apparently it meant steamed. This is because the coconut rice at Nasi Lemak Kukus is cooked using a traditional method of steaming the rice instead of boiling. Coconut milk is also added after the rice is cooked and it goes back to the steamer again allowing the coconut milk and rice to be infused together. 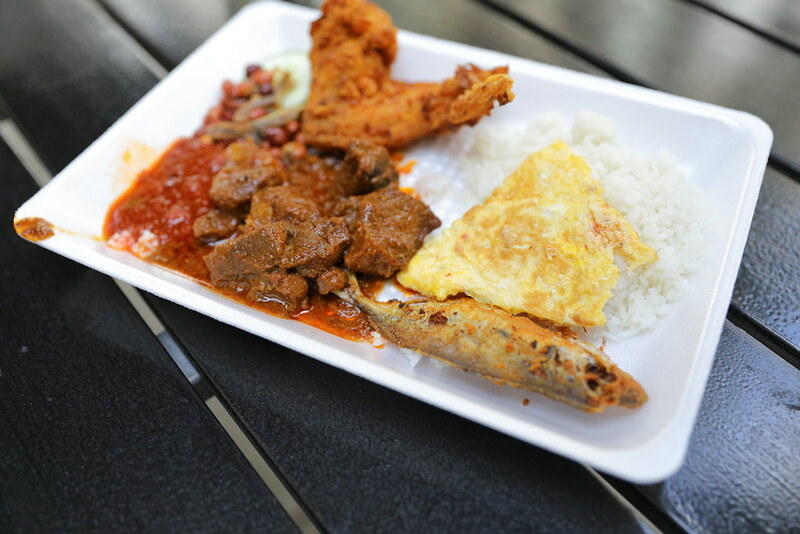 For my plate of nasi lemak, I had the fried chicken, egg, fried fish and mutton rendang. I could not remember how much I paid for it but it should be around $7-8. It is not cheap at all. If you want to keep your cost down, just go for the Chicken Wing Set at $4, which comes with a chicken wing, an egg, a fish and ikan bilis. Not forgetting the sambal chillis. 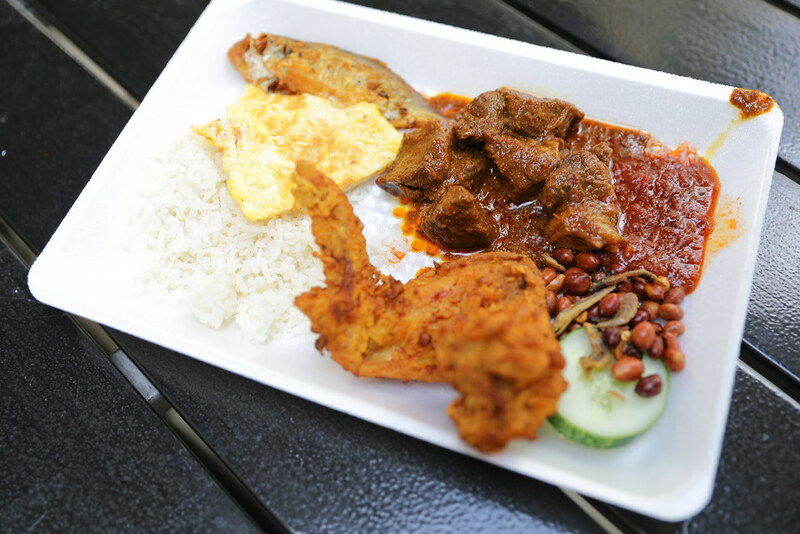 Nasi Lemak Kukus offers two versions. One is sweeter while the other is really fiery. I prefer the latter which is really shiok. 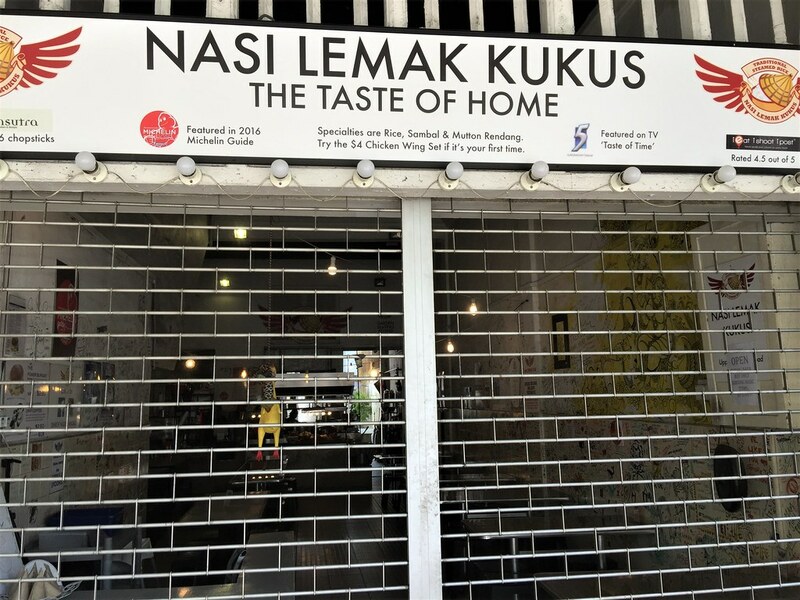 Dining at Nasi Lemak Kukus is quite an unique experience. At 12 noon, the staff will hit the gong, maybe it is to signal opening or lunch time and the shutter will be pulled up to allow customers to enter. It's all DIY here. You scoop your own rice, pick the food you want and pay at the end of the line. The standouts for me are their the fragrant coconut rice and sambal chillis. Food is average though. I wonder how they charge items like rendang? I'm sure some people scoop more while some people scoop less.